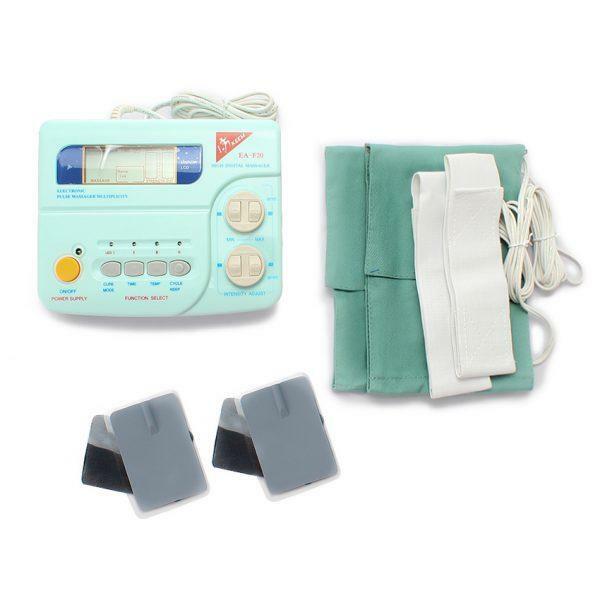 The perfect tens machine PAIN RELIEF device by sending electrical pulses through electrodes placed on the skin to underlying nerve fibers,it can help to ease the sub-health, relieve tiredness and shoulder tension, improve sleeping quality and activate collaterals to relief your body pain. 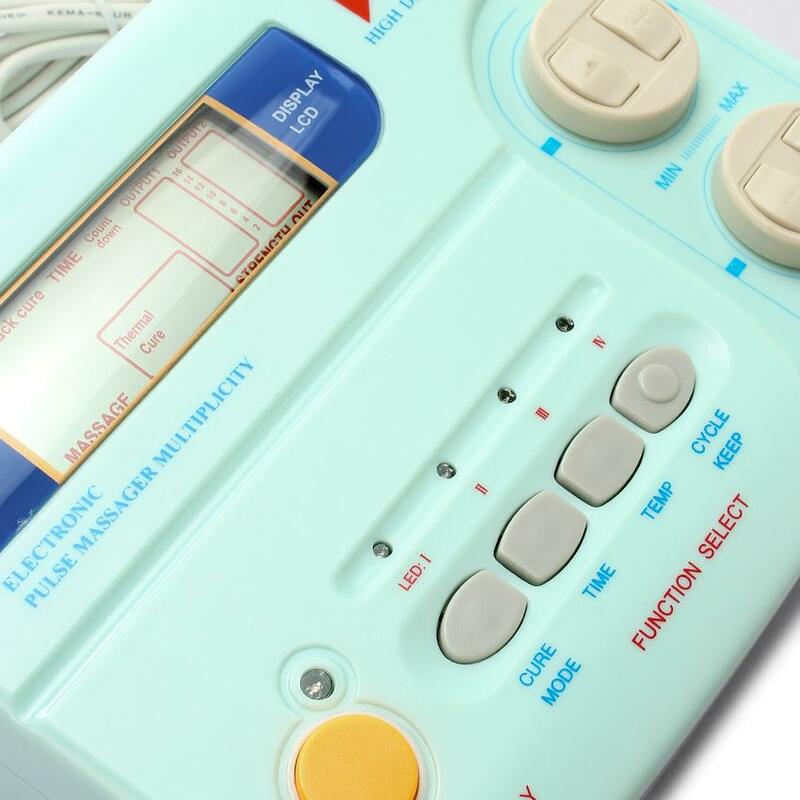 Our pain relief devices use Electro-therapy technology, which is a treatment that uses voltage electrical currents to relieve pain and provides other therapeutic benefits. A gentle electrical current is passed through electrodes which are attached to the skin near the site of the pain or discomfort. The pulses send electrical pulses through the central nervous system, thus blocking pain receptors. Exactly the same way as a strong painkiller would work. 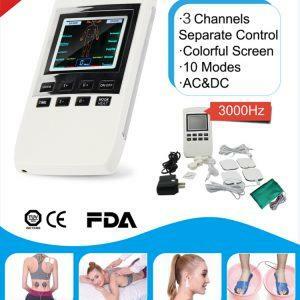 Home medical equipment with back light display lights, you can see the screen clearly day or night. No any side-effects to ease pain by physical therapy instead of medication. 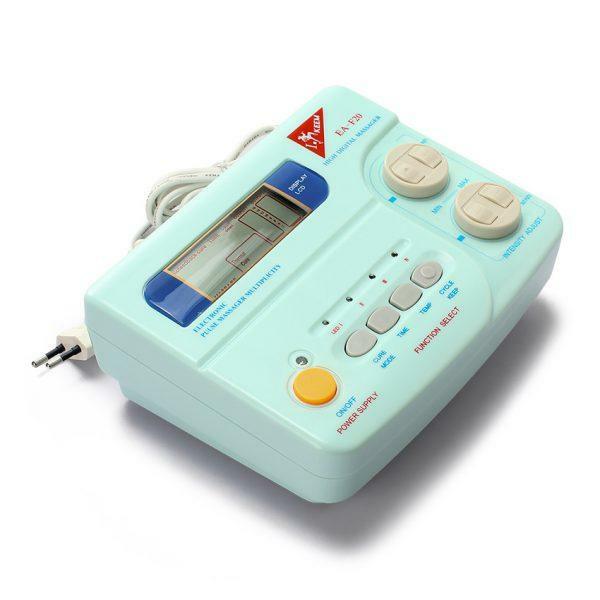 Using modern human body simulation technology to simulate ancient Chinese therapeutic methods and digital programming technology, your control unit has several different massage modes such as: Knocking, Acupuncture,Cupping,Tapping,Shiatsu-Deep, Sensitive Parts Massage Mode etc. During the treatment of Applied Thermo-therapeutic Belt, the temperature can be maintained within 35~60 Centigrade meanwhile the emitted far-infrared radiation wavelength is 810.65μm, which is similar to the radiation wavelength of human surface (9.6μm) and is consequently easily absorbed by human body. 4 output devices: 2 for therapy,2 for far-infrared heating treatment. 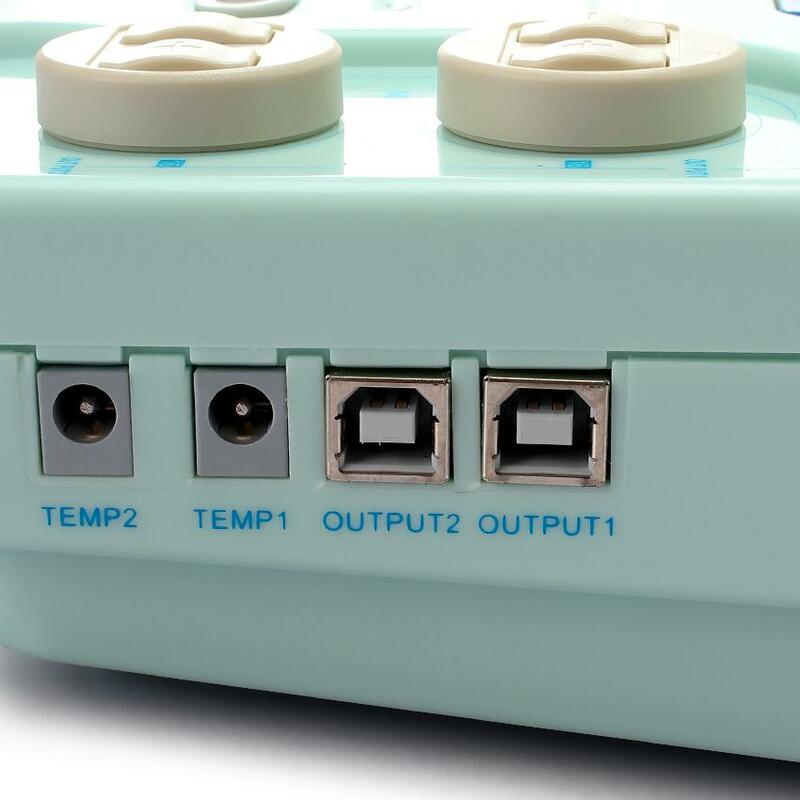 6-time settings each function and 2 temperature regulate the heating function.The treatment of paste electrode and magnetic infrared belt treatment can be treated at the same time. 4 different treatment including therapy,massage,beauty and sleep to make you feel more comfortable during using it. It helps hypnosis and provides adjuvant treatment for habitual insomnia; and it provides ab-irritation and adjuvant treatment for non-pathological headache. Relieve the pain in shoulder,back,lamber, foot and other parts of your body. This heating function can improve the local blood circulation, accelerate the exudate absorption and detumescence, smooth muscle tone. Exercise the muscles, improve fat burn away. Use for massage,health care & relieve pain and some common disease like high blood pressure, rheumatics arthritis of the shoulder, bronchitis, stomachache, toothache, neuralgia abnormal, menstruation and impotence diorder etc. * Product boasts perfect effect to cure stiff shoulder, waist pain, fatigue and nerve pain.